After a long day at work or a busy day of touring our beautiful coastline, stop by and relax in our little oasis we call SOURCE, located on Hwy 101 in the heart of the authentic fishing village of Garibaldi, Oregon. Once inside our cozy space you can treat yourself to a sampling of our fresh local oysters accompanied by one of our carefully selected wine and beer pairings or try one of our small plates always featuring our local producers. SOURCE also offers a selection of fresh offerings from our local area, so grab ingredients for tonight's dinner, a cooler box of local goods for the trip home or stock up your vacation rental and eat like a local. Kingfisher Farms kale, almonds, apple and Cheddar in an Oregon Olive Mill olive oil dressing finished with Parmesan cheese. Aged Tillamook Cheddar on Handy Creek Bakery Baguette, Granny Smith Apples, Bee Local hot smoked honey. Served with Kingfisher greens and kettle chips. CS Fishery Albacore tuna salad on Handy Creek Bakery Baguette, Tillamook cheddar cheese, spicy mayo. Served with Kingfisher greens and kettle chips. House ground all meat Tillamook Meats hot dog served on a toasted bun with kettle chips. SOURCE brings the farmers market to you by bringing in the freshest local products from our immediate area. Our partner producers include; Kingfisher Farms produce, Tillamook Meat grilling options, Lance's Farm Vittles, beef pork and chicken, Bennett family farms glass bottled fresh milk, Drift Water, water Kefir and many more. We bring in only whats fresh from our boats. 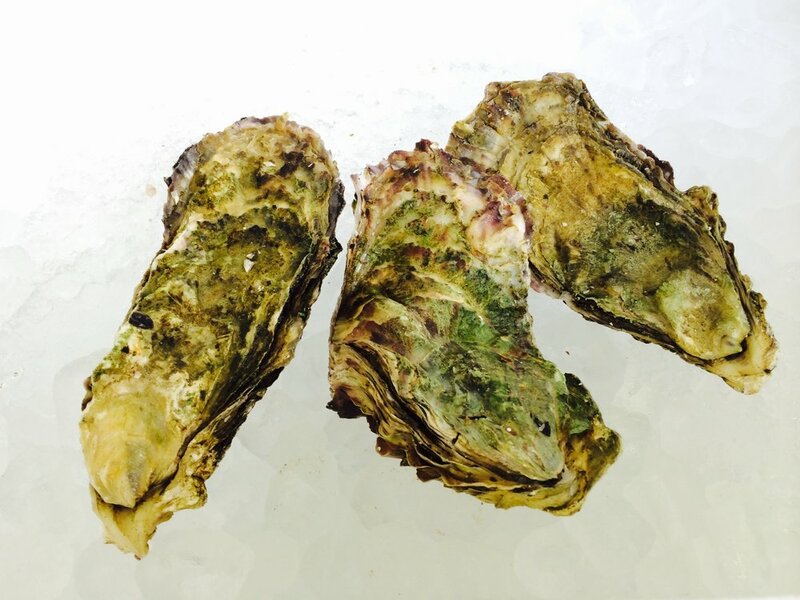 You will not find seafood that has been trucked or flown in, only whats local. 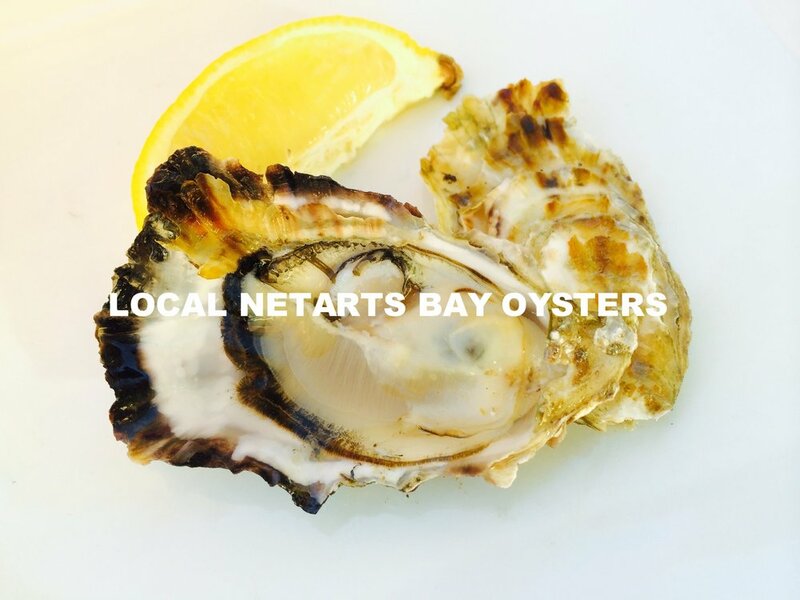 Our oysters are harvested daily and come from the pristine waters of Netarts Bay while our fish comes from our sister company CS Fishery. If you are looking for something unique to bring home, stop by and browse our selection of locally curated products that are produced by are partner producers. 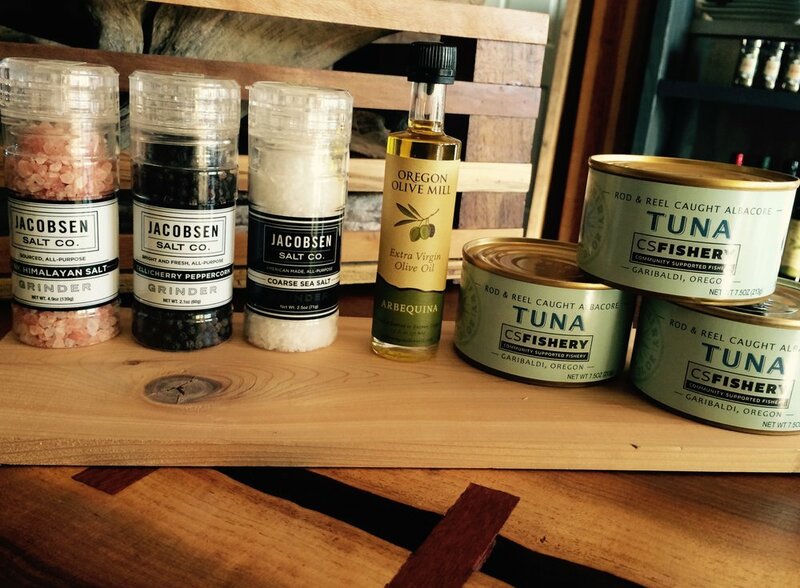 Our producers include, Jacobsen Salt, Oregon Olive Mills, Bee Local Honey, Esotica pasta, Eric Sappington arts and many more. Eric Sappington is both a visual and performing artist/singer-songwriter. He studied fine art and photography formally at Columbia College in Columbia, Missouri. He is currently a muralist and free-lance artist. Eric is a self-taught guitarist and harmonica player, and has been doing his own music for over 25 years. He currently performs live solo acts, and is also in a band with his wife, Molly. Eric is the Associate Artistic Director of the Oregon Coast Children’s Theatre and Centre for the Arts, serving in this position since 2002. With this organization he leads art and theatre workshops in schools, is a puppet artisan and puppeteer, and helps organize and create public works of art.